Based in Zambia. Dr. Patricia Chilufya Mupeta Muyamwa has been a Community Conservation Program Officer with The Nature Conservancy for over 5 years, overseeing programs in Western Zambia. 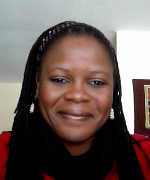 Her PhD dissertation at the School of Natural Resources & Environment of the University of Florida, was a comparative study on the democratization of community- based natural resource management (CBNRM) in Botswana and Zambia. This deep interest and commitment for CBNRM inspired her to work to enhance advocacy capacities among NGOs and CBOs in Zambia. At present, she works to improve CBNRM policies and practices to promote the greater community benefits that come from well-conserved communal lands. This is particularly important for the economically disadvantaged communities at the border with Kafue National Park, where she works to strengthen local governmental institutions that promote sustainable resource management.